9:30 AM to 5:00 PM, Monday to Friday. If you live outside of Canada, please request a shipping quote in the Order Notes section of the Checkout Page. 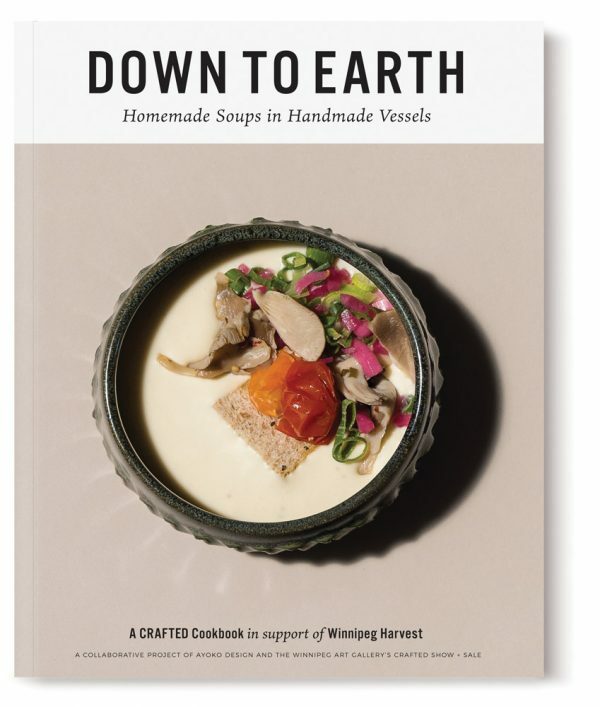 We are very excited to present Down to Earth: Homemade Soups in Handmade Vessels, a CRAFTED cookbook in support of Winnipeg Harvest. 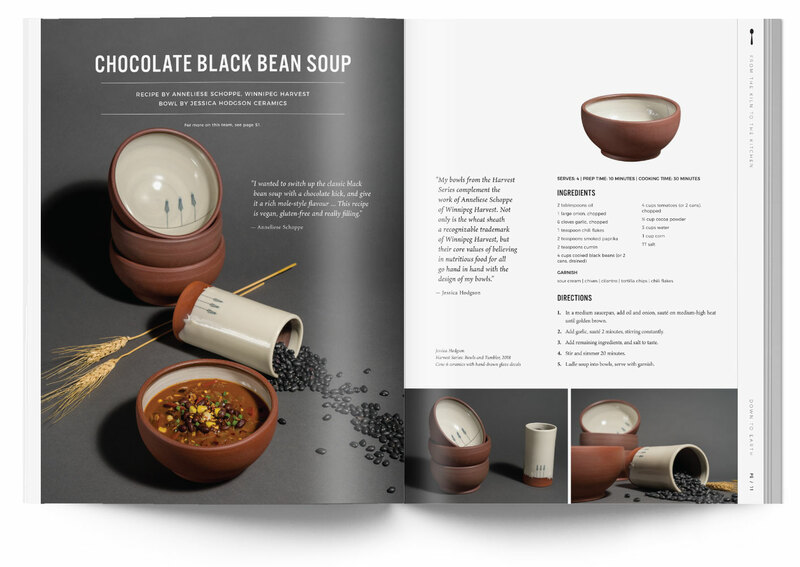 This cookbook is a collaborative project by Ayoko Design and the Winnipeg Art Gallery’s CRAFTED Show + Sale. 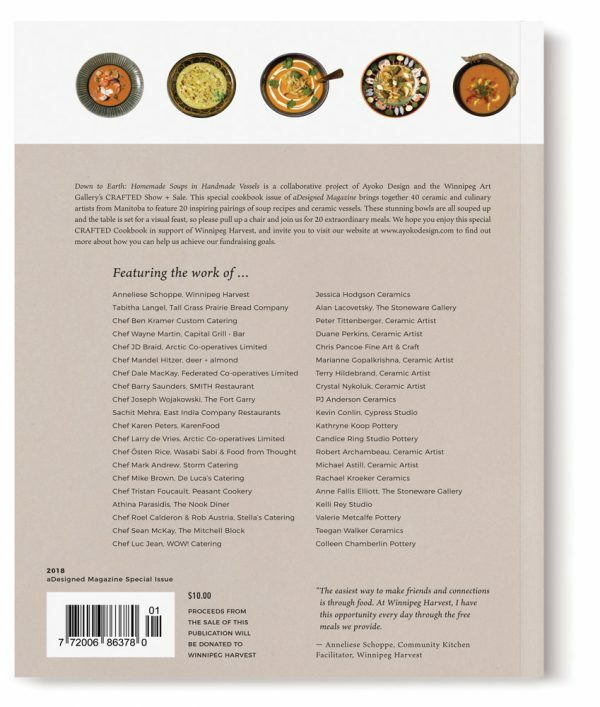 It showcases 20 inspiring local chef / ceramic artist teams who have created a soup recipe and a vessel to serve it in, both of which are works of art. 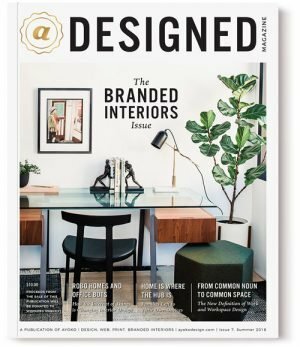 Proceeds from the sale of this publication will be donated to Winnipeg Harvest. This cookbook is 68 pages, perfect bound and printed in full colour. The cover is printed on 100 lb matte paper with a gold foil accent. The inside pages are printed on 80 lb matte paper.